funny – The Pet Shelter,Inc. 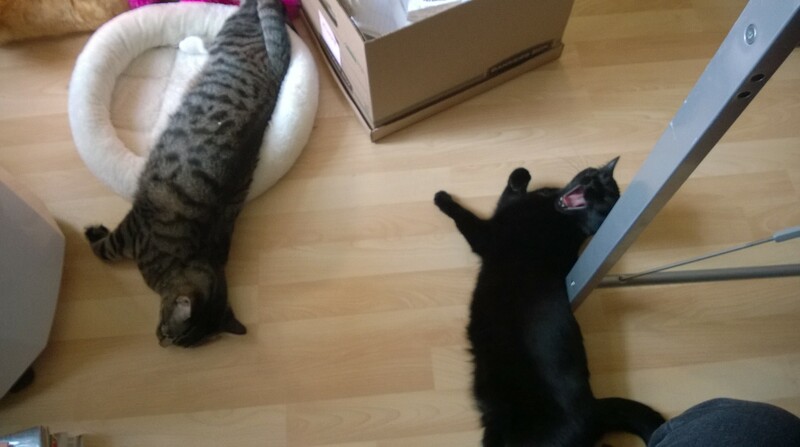 This is an old photo, but it’s pretty much what they are doing right now in this heat–cats melting everywhere. Oh, TIny Clyde. 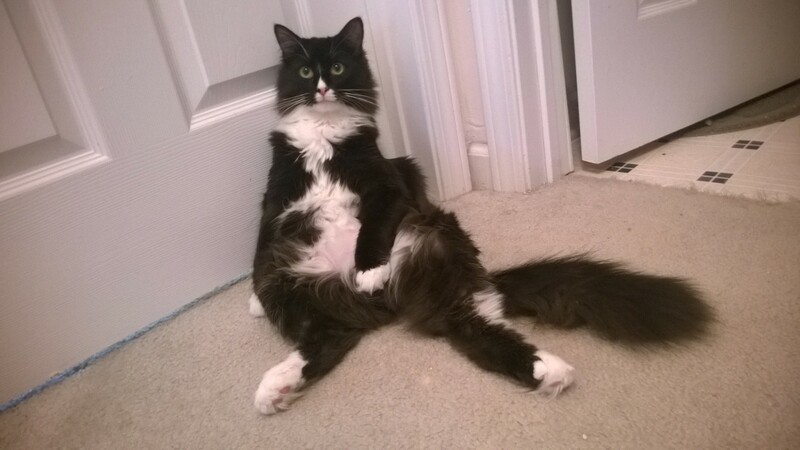 You are the Master of Feline Grace and Dignity. 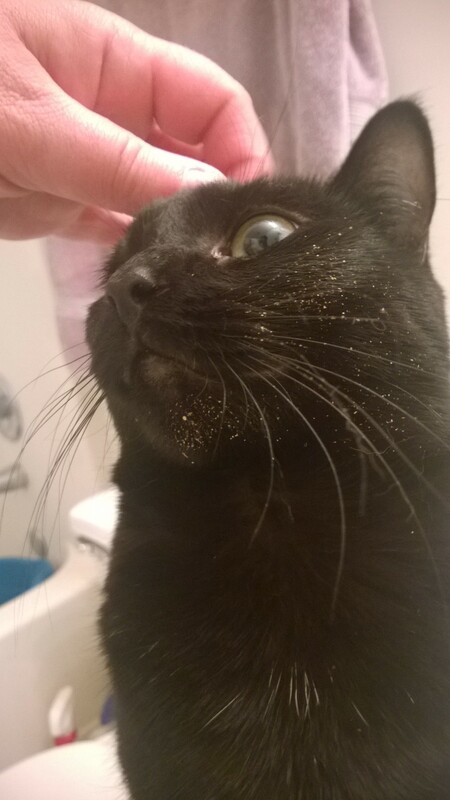 ..so I can clean her face. 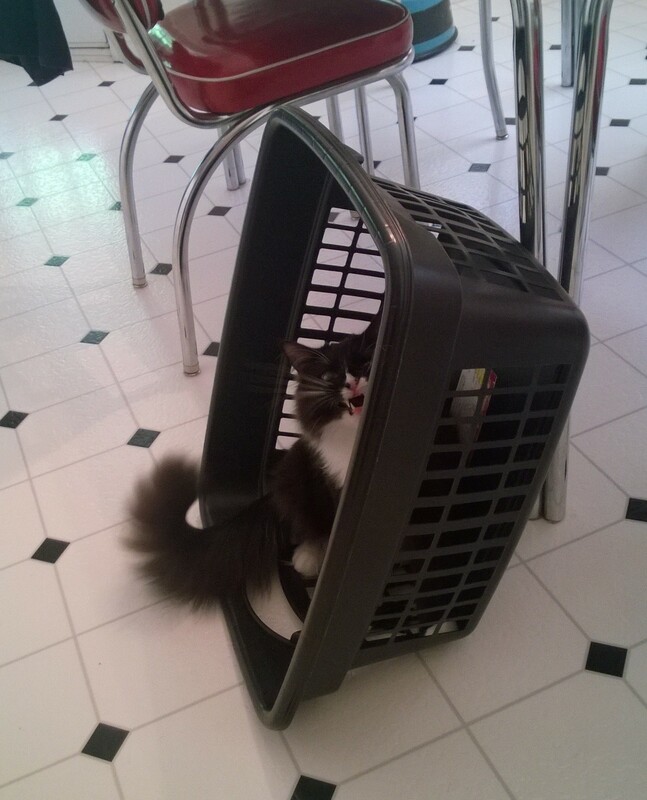 Tiny Clyde defends the laundry basket. 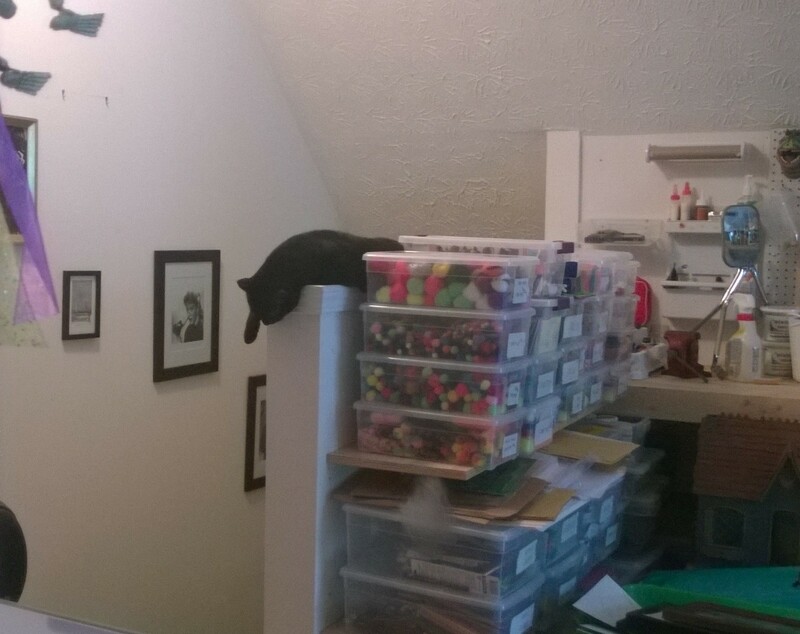 Actually he was just meowing, but the camera caught him in the most unsettling grimace. 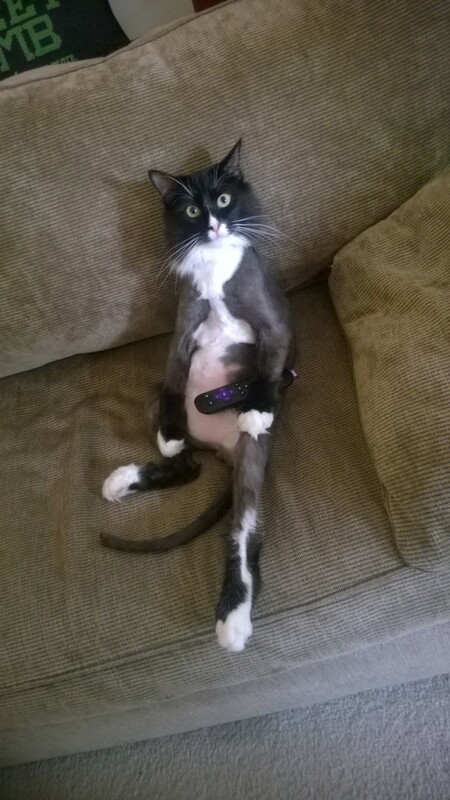 Oops, someone let the air out of my cat.